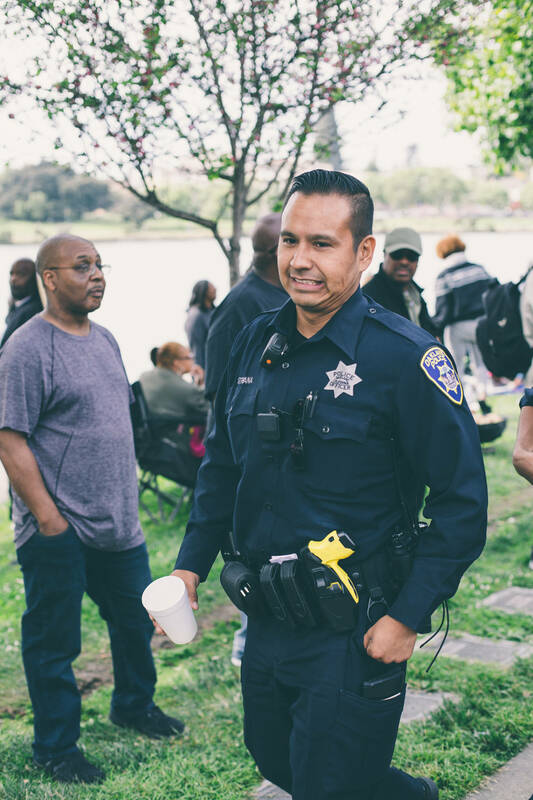 Earlier this month, when a white woman named Jennifer Schulte called the police to complain about black Oakland resident Kenzie Smith’s barbecue at Lake Merritt, she had no idea she was about to create a firestorm. In the video Smith's wife, Michelle Dione, captured of the incident, Schulte stayed on the phone with police for hours, at one point claiming that she felt threatened. In the end, no charges were filed and no citations were issued. Instead, the video of Schulte’s racially charged complaint was blasted all over the internet, featured on numerous news outlets, put in the social media meme hall of fame and even parodied in the closing credits of this past week’s Saturday Night Live. 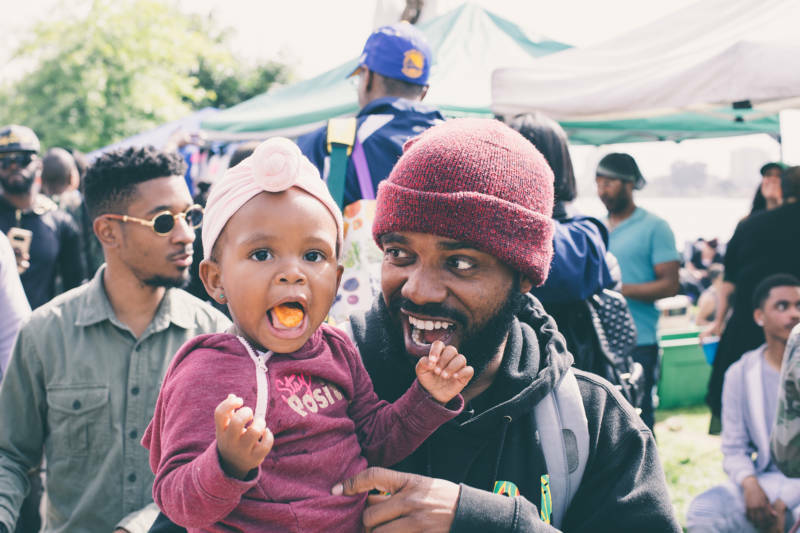 Jhamel Robinson, owner of The Real Oakland apparel line, saw the incident as an opportunity to reignite the flame of community empowerment that makes Oakland, Oakland. 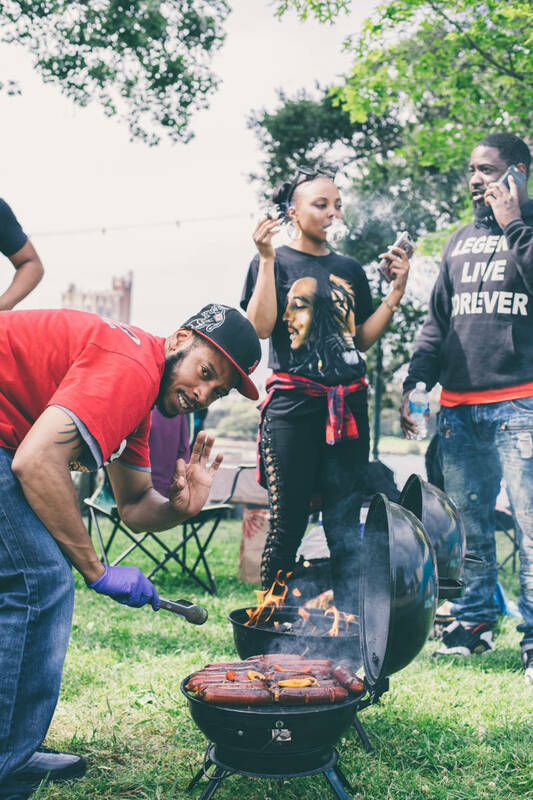 Along with Logan Cortez, Robinson organized a protest unlike any other: a barbecue protest. 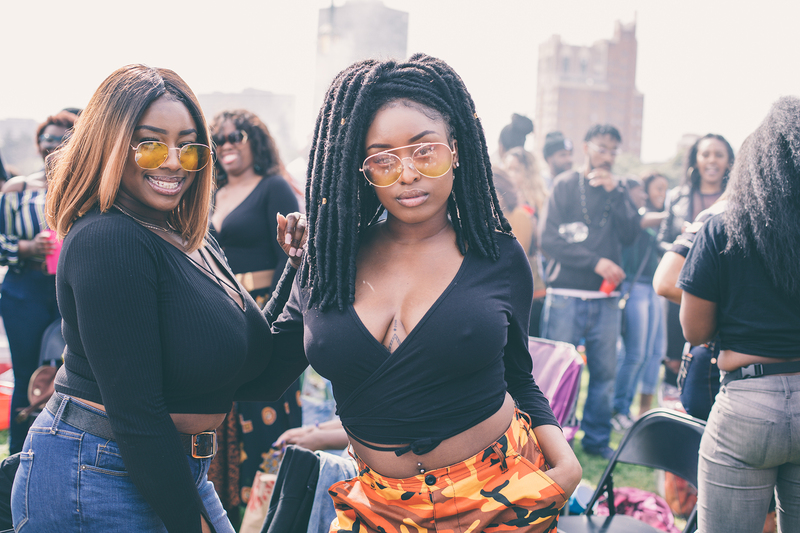 On May 20, Oakland’s African-American residents came out to Lake Merritt in force for "BBQ'n While Black," making their presence felt while enjoying a hot link or two. People showed up to the lake in A’s hats, African head wraps, Warriors jerseys and white T-shirts. 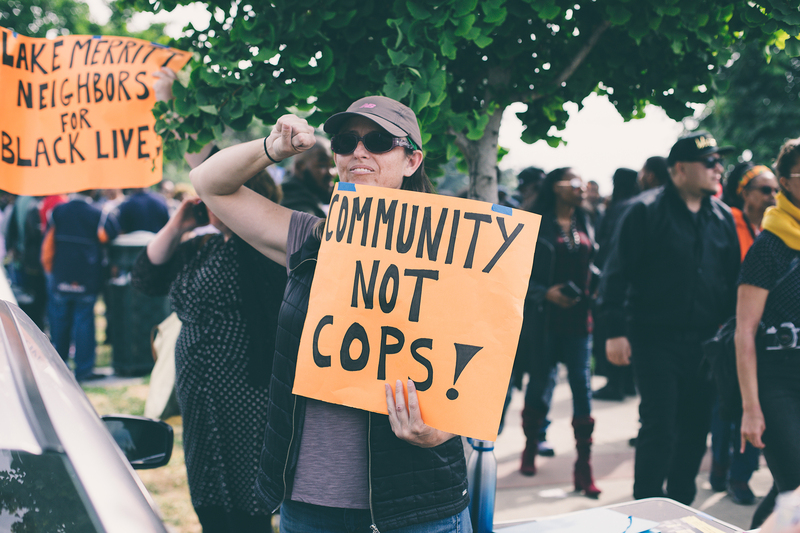 Bike clubs, business owners and big names—like Angela Davis and Mistah F.A.B.—came out to support the event. One person was even there with an image of Schulte making the immortal phone call that sparked it all. I pulled up on bike, a wise choice as Lakeshore Avenue and the surrounding streets were gridlocked from the amount of people trying to get to the festivities. 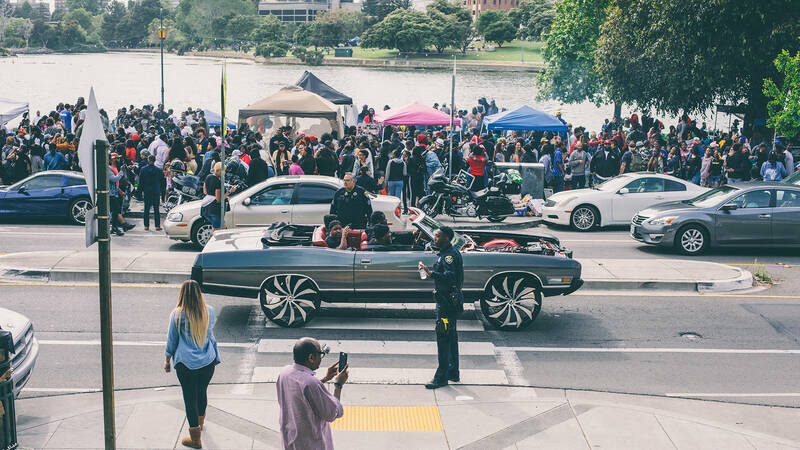 I locked up my ride and walked Lake Merritt's eastern shore, taking it all in: hundreds of people, many of them walking, some sitting at tables and selling jewelry or clothes. A bunch more chilled in tents and on blankets. And there was even a teepee! There were too many handshakes, hugs, jokes and barbecue grills to count. It reminded me of the Festival at the Lake from the early '90s—an event I remember, but was too young to fully enjoy. 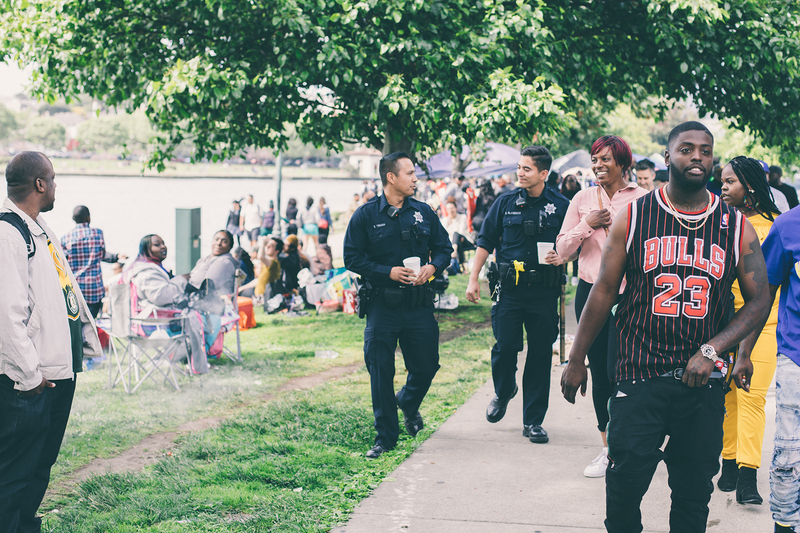 I wasn’t the only one who was reminded of late-'80s and early-'90s gatherings by the lake, when African Americans made up 44 percent of Oakland's total population. Now, that figure is closer to 24 percent and steadily decreasing, as a number of African-American residents have been pushed out due to absurdly high rents and foreclosures on properties. And with that change in demographics, the culture has shifted as well. Jennifer Schulte isn’t the only one complaining about African-American people gathered at the lake. Over the past few years, there have been numerous examples of this type of culture clash, including another white woman calling the police on Drummer Boy Aaron and police cracking down on—you guessed it—barbecues. 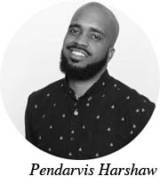 He told me that he talked to people who came from miles away, even as far as L.A. Robinson, an Oakland guy who I’ve known since our teenage years, now lives in Sacramento, and is a prime example of how people who grew up here have been displaced. For him to take it upon himself to play a major part in organizing this event speaks volumes about the feeling people have about the Oakland they once knew. Robinson said he’s currently planning a back-to-school event for later in the summer, an event that will address a constellation of ongoing social issues—like the lack of low-income housing, the failing OUSD school system and racial health disparities in certain communities of Oakland. I look forward to the next gathering. 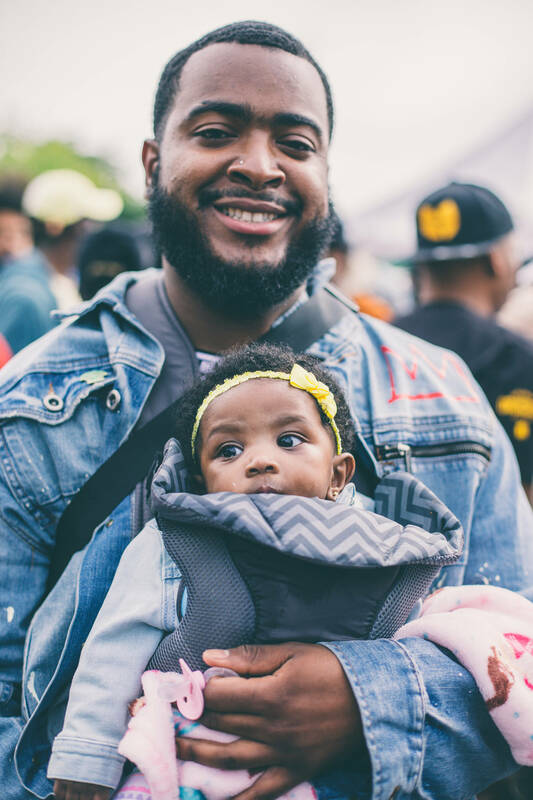 Until then, I’m going to enjoy the photos, videos and memories of the day that was the biggest, best black barbecue protest I have ever seen.